Technically speaking, there is no such thing as a fat burning fruit. That is to say, there is a common myth that some foods create an overall calorie deficit. Vegetables like celery are claimed to provide less calories than it takes to digest them. While there is some truth to the claim, generally speaking, it's all a myth. It really depends on your perspective. Technically speaking, there is no such thing as a fruit, at least not with the traditional usage of the word. In Science, the fruit is the part of a flowing plant that contains seeds. So it may make more sense to say there is no such thing as a vegetable. Vegetables and fruits are terms that can be both useful and confusing, depending on the context. Our culture uses the word fruit in an ambiguous manner. When most people say fruit they mean to describe a group of sweet, fleshy products that come from plant reproduction; cherries, melons, oranges, etc. Science uses the word fruit to describe the part of the plant that develops from the ovaries. If tomatoes are a fruit, then so are nuts. And we all know that nuts come from the ovaries. I hope I've made my point without being too annoying. This article is supposed to be about fat burning fruits, and it is, I promise. There's just a couple of things that need to be understood before we can talk about fat burning fruits & vegetables. Obviously, it depends on your definition of fruit. It also depends on your definition of fat burning. The term fat burning fruits & vegetables explicitly means the food burns calories to digest. Using this definition, all food can be considered fat burning. Typically, the subject of fat burning fruits and vegetables has something to do with calorie deficits. While there is some legitimacy in connecting calorie expenditure to low-calorie foods, it is dishonest to say that celery has negative calories. You could probably gain weight by eating celery if you blended it and drink it all day. I doubt anyone could tolerate that many celery smoothies, but it's probably possible to gain weight that way. When you start talking about the calorie deficit to food, you open the door to even more ambiguity. The amount of calories it takes to eat an apple or celery is greater because they contain high amounts of fiber and require lots of chewing. If you start taking into account the amount of calories it requires to chew or digest food, why not talk about food production? Does it take more energy to eat whole walnuts or crab legs? What if you grow your own celery? That's what I would like to know, the total calorie deficit for the celery I grow in my garden. Hunting for your own meat requires more calories than it takes to just purchase meat from the grocery store. While it may seem absurd to relate growing and hunting your own food to calorie deficits and fat burning fruits, the analogy works perfectly well for grain processing. Pulverizing your own corn into cornmeal requires more energy than purchasing a bag of cornmeal. The same is true for baking your own bread versus buying bread that's already baked. Processing is part of the digestion process. The food we eat is typically food that is high in calories and capable of being produced on a large scale. These types of foods are scarce and always have been. Our bodies have adapted to compensate for the fluctuations of scarcity, which means we store as much fat as possible and crave foods that are high in fat and sugar. The modern era gave rise to changes that our bodies weren't prepared for. While whole foods are still scarce, the efficiency of food processing has improved dramatically in the past few decades. To make matters worse, the companies that produce our food are constantly looking for ways to decrease production costs and increase their sales. The situation has created a nightmare of health concerns, as most processed foods contain a huge amount of sugar. Most natural foods contain sugar, but natural whole foods also contain a good mixture of additional nutrients. Eating an apple is much better for your body than eating a teaspoon of sugar. It not only takes more energy to digest an apple, but there's a lot of vitamins and nutrients in the flesh and skin of an apple. For example, a cup of apple juice has about 24 grams of sugar in it with only traces of fiber, while a medium-sized apple has about 19 grams of sugar and more than 4 grams of fiber. Whether you want to lose body fat or have more energy through the day, eating an apple is a better option. Generally speaking, the problem comes from outsourcing our energy needs. We commonly outsource our food production and digestion process. We can't all be farmers and hunters, but you can be aware of the situation, adjust your habits and live a healthier lifestyle. Most fruits contain healthy vitamins and minerals that are essential for your health, but unfortunately, some fruits are high in sugar as well. Products like juices or purees that lack the fiber found in whole fruits can be extremely high in sugar and spike your hormone insulin. When you eat high sugar foods, your pancreas release insulin to clear the sugar from your blood. Unfortunately, insulin shuttles most of that sugar into fat cells and causes weight gain. Fruit like lemons and limes are extremely low in sugar, but they're hard to tolerate when eaten whole. It would also be easy to include vegetables like cucumbers and tomatoes on a list of fat burning fruits. But the point is to give you the most delicious options to eat on a low-sugar diet. There is no such thing as a fat burning fruit, but the premise behind the implied intent does have its merits. Any list of fat burning fruits must include the apple. Apples are loaded with vitamin C, especially in the skin. They're also full of insoluble fiber, which provides more bulk in the intestinal tract and helps keep things moving along. There are a ton of apple varieties available. For the most, large, soft, and sweet apples have more sugar than smaller apples. Although often found in dried form, fresh apricots can be equally as tasty. There are about 3 grams of sugar in an apricot, which is low compared to a fruit like a mango or a pineapple. Apricots also provide you with a range of nutrients like vitamin A, vitamin C, potassium, and antioxidants. This low-sugar fruit contains an incredible amount of vitamin C. One medium sized guava has over 200% of your daily recommended amount while providing less than five grams of sugar. 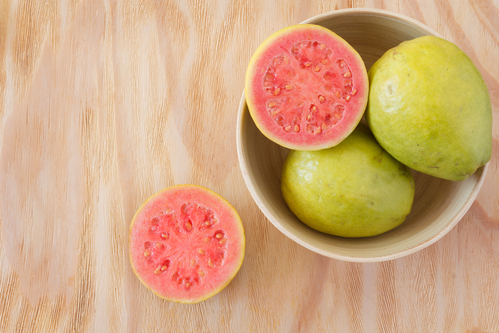 The three grams of fiber in guava keep your gut health optimal and slow down the absorption of sugar. Guava also contains vitamin B3 and B6, which aid in brain health. One kiwi contains about six grams of sugar. Six grams may be more than the amount found in apricots or guava, but it's still relatively low compared to most other fruits. You can add fresh kiwi slices to your salad to give it extra flavor or bring one in your bag as a healthy snack. 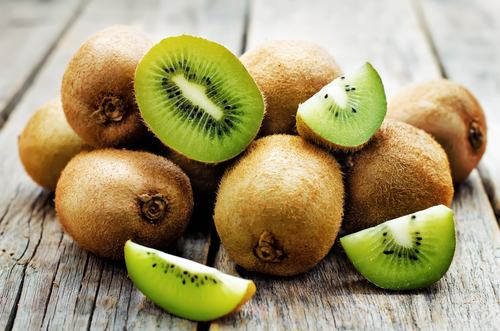 Kiwis contain high amounts of vitamin C, vitamin K, and dietary copper, all of which are essential nutrients. You can toss a handful of raspberries in your morning oatmeal without having to worry about spiking your blood sugar. A cup of raspberries has only about 4.4 grams of sugar while providing you with 7 grams of fiber. They are an excellent source of vitamin C, manganese, and antioxidants. Other nutrients present in raspberries include vitamin K, biotin, magnesium, folate, and vitamin E.
If you enjoy the sweet and sour taste of grapefruit, you'll be happy to hear that they're also incredibly healthy for you. A half grapefruit has about 8 grams of sugar but contains lots of fiber, vitamin C, vitamin A, potassium, thiamine, folate, and magnesium. Grapefruit has also been found to increase feelings of fullness to prevent you from overeating other foods. Don't be fooled by click-bait headlines and rumors that sound too good to be true. There are no short cuts in nature, but we can sift the wheat from the chaff with a holistic view of health. The term fat burning fruit may be a misnomer, but there are very real differences in the nutritional content of fruit. Limiting your sugar intake keeps your insulin levels in control and improves your overall fitness. In general, you can judge the amount of sugar by taste. The best of the fat burning fruits are the ones that are most tolerable, keep you feeling full, and contain the most amount of nutrients while providing the least amount of calories. Here at the Fit Father Project, we have discovered an amazingly successful technique for transforming the human body. Our programs have helped tens of thousands of men lose fat and gain muscle. If you're ready to commit to a formal weight loss regime, I urge you to take a look at FF30X. The success of the program is undeniable. Fit Father 30X is the world’s first sustainable weight loss plan for fathers. *Please know that weight loss results & health changes/improvements vary from individual to individual; you may not achieve similar results. Always consult with your doctor before making health decisions. This is not medical advice – simply very well-researched info about fat burning fruits. Losing weight can seem like a difficult venture. It's easy to get side tracked and lose the motivation. This is one the primary reasons people look into alternative therapies like acupuncture for weight loss. While the best way to lose weight is to control your diet and activity levels, acupuncture can provide benefits. Acupuncture is the science of putting needles into your body. This practice originated in China approximately 8,000 years ago! In the beginning, sharp stones and bones were used instead of needles, but the theory is the same as today, the punctures direct the flow of energy in your body to achieve specific results. The science behind this method reveals that the fine needles stimulate sensory nerves and encourage the body to release pain-relieving endorphins. Acupuncturists now treat a range of health conditions including migraines, joint pain and other diseases of the bones and muscles. A competent practitioner will always start by assessing your general health and medical history as well as conducting a physical examination. During the treatment session, up to 12 fine needles get inserted under the skin for no more than 30 minutes. These pathways, also known as meridians, are accessible at 350 potential acupuncture points throughout the human body. By inserting needles in the proper combination and depth throughout the human body, it is believed that the flow of energy can return to the appropriate balance. This is how acupuncture assists in treating various health concerns. While a lack of scientific evidence as to its effectiveness may deter some patients, others claim that acupuncture offers immediate and long-lasting relief. Studies have shown that it can help with pain relief and even stroke rehabilitation. But, there are very few studies on the link to acupuncture and weight loss. In the case of weight loss, an acupuncture practitioner will look to stimulate nerve and hormone balance while reducing water retention. They may also use a process known as ear stapling to help control food cravings. One study showed that ear acupuncture, combined with a 2,000 calorie diet and a 15-minute walk, resulted in half the test group losing an average of 10 pounds. Those who didn't have acupuncture lost an average of 3 pounds. Of course, a 2,000 calorie diet and the 15 minutes of exercise is enough to start your weight loss journey by itself. 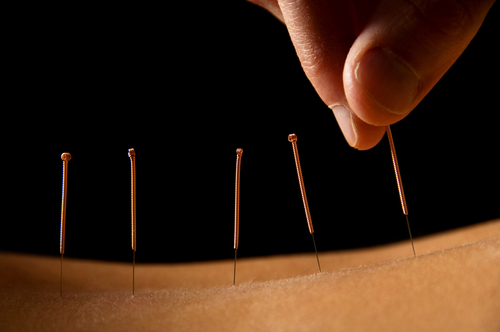 You may be left wondering if the acupuncture contributed to the study. It may be important to note that the side effects of acupuncture can include fatigue, muscle spasms, and general soreness. These ailments won’t help you to increase your exercise regime or eat more healthily. Although usually safe, side effects of acupuncture may include bleeding or bruising, drowsiness and nausea. While the notion of sticking needles into the human body may sound dangerous, trained professionals are well versed in safely administering this treatment. In addition, without any chemicals used in acupuncture, there are typically no side effects, allergic reactions, or physical or mental dependency in the using acupuncture for weight loss. This is a significant benefit for those with allergy concerns or with sensitivity toward pharmaceutical solutions for various health ailments. Always ensure that a regulated health care professional carries out the treatment or that the practitioner belongs to a recognized national acupuncture organization. There are a variety of complementary medicines to use alongside conventional treatment. Be aware that these therapies are scientifically untested, and while they may help improve your quality of life, they cannot cure existing conditions. Acupuncture & hypnosis for weight loss are not the only alternative therapies on offer. Holistic treatments are slowly becoming more mainstream, allowing a variety of different treatment options to be suggested. This is actually very similar to acupuncture, but no needles are used. Instead, the pressure is placed on specific points to stimulate energy flow and remove blockages in your system. A finger is usually enough to provide the necessary pressure. Unfortunately, this method also needs more research to confirm it is as effective as hoped. Ayurveda is an ancient Indian approach to medicine and healing. It focuses on the importance of integrating your body, mind, and spirit. However, no approach is the same because no two individuals are alike. You’ll be given a specialized diet, massage and even a selection of herbal remedies to help your body re-balance and you to lose weight. These can include meditation, yoga, breathing exercises, and drinking lemon and hot water; which is supposed to stimulate your digestion. Again, the real issue is that, despite the success stories, there has been no real research into the link between Ayurveda and weight loss. Another approach is to use natural weight loss supplements. Any pill or powder which has dietary ingredients such as vitamins, amino acids or minerals can be called a natural supplement. The idea is that the supplement will help to suppress your hunger while making sure you have all the basic nutrients you need. Again research is limited regarding the effectiveness of these supplements. It is important to note that it is hard to do an effective study as these are supposed to be part of your weight loss process and not a solution in themselves. In fact, you’re more likely to get the desired result if you drink green tea, eat dairy products and use a calcium supplement. Cryotherapy involves standing in a tank for between 2 and 4 minutes. The temperature in the tank is as cold as -250°F; in other words cold enough to kill you if you stay in there too long. The benefits are supposedly due to your body reacting to the cold. You will produce more brown fat cells which increase your metabolism, burn more fat and help you to stay warm. It’s also said to boost your metabolism, relax sore muscles and reduce inflammation. For improved weight loss, the cold makes your body burn more calories in order to stay warm; the facilities offering this claim it can help you to burn 800 calories in 4 minutes. This isn't that new. The first instance of cryotherapy was in Japan in the 1970s, when it was used to treat multiple sclerosis and arthritis. There is currently no evidence to back up these claims, making it an expensive and potentially risky way to lose weight. Should I Use Acupuncture for Weight Loss? Join FF30X today to gain access to hundreds of healthy eating ideas and exercises and get on the path to a new you. Weight loss is our expertise here at the Fit Father Project. Our approach allows you to make small, but manageable, changes to your life that can be sustained for years to come. You don't need use alternative methods like acupuncture for weight loss. All you need is a positive mindset and a little determination. *Please know that weight loss results & health changes/improvements vary from individual to individual; you may not achieve similar results. Always consult with your doctor before making health decisions. This is not medical advice – simply very well-researched info on acupuncture and weight loss. Is Hypnosis an Effective Technique for Weight Loss? Instant gratification has become the norm. You can order virtually anything online and have it delivered the next day. Unfortunately, humans have become used to getting what they want, when they want it. The convenience can make it very hard to accept that weight loss takes weeks, months, or even years. This is likely why some men turn to hypnosis for weight loss. After all, anything that makes the process simpler and faster has to be good, doesn't it? In theory, this makes sense. But in practice, it’s not this simple. After all, no matter what you do, the basic fact of weight loss is that you need to eat fewer calories than you burn. But this doesn't mean checking your maintenance calorie amount and then cutting it by 500. That may help you to lose weight, but it won’t necessarily be healthy. You need to consider the food you are eating. The calories from chocolate cake are absorbed very differently by your body than good wholesome food. Losing weight by eating junk food is possible but extremely doubtful. Plus you won’t get the health benefits, leaving you more likely to feel fatigued and depressed. The good news is that it is possible to lose weight and keep it off. Just speak to these members of FF30X for inspiration. If they can do it, so can you, regardless of the method you decide to use. Hypnosis has been linked with magic and medicine over the years. In fact, it is first known to have been practiced approximately 1550 B.C. The interesting thing is that hypnosis seems to occur in all ancient cultures. It’s important to be aware that hypnosis is not the same as being sent to sleep. It relaxes your mind and body, making you more open to a suggestion without actually sending you to sleep. Imagery and post-hypnotic suggestions are made to affect the necessary changes. Using modern hypnosis for weight loss involves an expert tapping into your unconscious barriers, such as overeating and overindulgence. Removing these barriers and their links to specific feelings is intended to prevent you from turning to food in stressful and emotional situations. In particular, hypnosis can help to identify patterns when you start a new diet and then stop it a few weeks later. This can create a subconscious pattern which affects your ability to complete any diet. Hypnosis delves into your subconscious mind and removes these patterns, allowing you to complete your diet and achieve the weight loss you desire. Unfortunately, while there have been several studies regarding hypnosis and weight loss, many of them are poor quality and leave us with the question of whether this is a viable option. You want to lose weight, and you've tried numerous methods, perhaps even with some success. Unfortunately, like so many men, at some point, your circumstances change, and you can no longer keep up the routine. That’s why you try different approaches, diets, and even look at techniques like hypnosis for weight loss. But, the simple fact remains, to lose weight you need to eat fewer calories than your maintenance amount. The above alternatives may help you to get into and keep the right mindset, but it doesn't have to be that complicated. If you really want to lose weight then simply make one small change at a time. The best place to start is with your diet. By changing what you eat and how you eat you’ll notice a huge difference in your weight and health. Drink a glass of water before you eat and whenever you feel like snacking. This simple tip can help you to distinguish between genuine hunger and eating habits. The water will also keep you fuller, preventing snacking while revitalizing the cells in your body. Discover the perfect plate approach to food. This requires you to fill your plate with ½ vegetables, ¼ protein, and ¼ carbohydrates. It’s easy to do with our free menus and will ensure you’re having a balanced diet. Prepare your meals in advance. This is a step from adopting the perfect plate approach to your food. It simply means taking the time twice a week to prepare food that you can eat throughout the week. By preparing it in advance, you’ll always have something healthy to eat, no matter how stressed or rushed you are. Remove tempting foods from your home. Staying away from irresistible foods is a staple of most diet plans, but it’s also a good lifestyle approach. You can’t eat unhealthy foods if you don’t keep them at home. Of course, most foods are acceptable in moderation. You can always split a packet of snacks, such as nuts, into acceptable portion sizes. This will reduce the chances of overindulging. Sleep is essential; it allows your hormones to balance, decreases hunger and increases your feeling of being full. The average man needs between 6 and 8 hours sleep every night, so start planning your bedtime to ensure you get this. Finally, what you eat is the largest part of the battle, but a little exercise will help your weight loss goals and improve your overall health. But, you don’t need to start by running a marathon! Regular exercise means blocking out a short period of time, such as 30 minutes and then being active. This can just be walking the dog or anything that gets you moving. It’s important to consider intermittent fasting as part of your approach to losing weight. This can be a really useful weapon in your weight loss battle; especially if you are struggling to make all the necessary changes. Intermittent fasting means eating just 500 calories on two days of the week, (not consecutive days). Ideally, you won’t eat from when you wake up until the evening. However, if you feel weird during the day, you can have a small, low-calorie snack. The idea is that by depriving your body of food, you’ll enter a state of ketosis. This is when your body burns fat to power your muscles instead of sugar. You’ll increase your fat burning rate and reduce your weight without undue stress; it’s worth considering. You're welcome to try hypnosis for weight loss, but with the limited research to back up the effectiveness of these approaches, you may find it more beneficial to keep things simple. Join FF30X today to gain access to hundreds of healthy eating ideas and exercises and get on the path to a new you. FF30X is full of thousands of other men who are completing their own weight loss journey. Their support can help you achieve your own goals. But, most importantly, this approach allows you to make small, but manageable, changes to your life that is sustainable for years to come. You won’t be starting a fad diet or trying hypnosis for weight loss. You’ll be adapting your lifestyle to become the man you want to be. That’s the man that you know you can be. *Please know that weight loss results & health changes/improvements vary from individual to individual; you may not achieve similar results. Always consult with your doctor before making health decisions. This is not medical advice – simply very well-researched info on hypnosis and weight loss. From the moment you hit 30, your testosterone levels start to fall. In fact, your levels will drop by approximately 1% every year after 30. This may not seem like a lot, but by the time you’re 40 you’ve lost at least 10% of your testosterone. Add this to natural weight gain and you may start to consider hormone replacement therapy and weight loss. The simple fact is, you’re not alone! It’s estimated that 1 in 4 men over 30 has low testosterone. It’s true that hormone replacement therapy and weight loss are connected. However, HRT is just one of the options available to you. It is possible to lose weight and build T levels without HRT. But you’ll need the right advice and support. That’s why it’s time you considered joining thousands of other men on our FF30X Program, designed specifically for busy men over 40, to help improve your health and wellbeing. Hormone replacement therapy and weight loss are just a small part of the equation. It’s time to understand the link between hormone replacement therapy and weight loss. With all the information can you make an informed choice as to what is right for your own body. Hormone Replacement Therapy (HRT) is something that must be prescribed by a doctor and should only ever be an option after a blood test has been carried out. This will confirm that your levels of testosterone are low. The process generally involves being injected with a synthetic version of testosterone, although it is possible to introduce the synthetic testosterone via a skin gel or patch. The frequency of these injections/administration of gel will depend on the amount of testosterone being released into your body. That’s it; the synthetic testosterone works inside your body in the same way that normal testosterone does, you just haven’t made it yourself. Once you start taking HRT, then you’ll normally be on it for the rest of your life. It’s very difficult to come off it. A boost in testosterone production is the primary cause of spots (acne) in teenagers as they go through puberty. HRT can recreate this issue. This is an unusual, but a potentially possible side effects. It’s important to be aware of it. Synthetic testosterone is not the same as that which is made in your body. The slight differences can increase your risk of blood clots by increasing the number of red blood cells in your body. This should be monitored by your doctor. Older men with long term use of HRT appear to have a higher risk of cardiovascular issues, such as heart attacks and strokes. There are concerns that HRT can cause the prostate to become enlarged. Some research has linked enlarged prostate with an increased risk of prostate cancer; doctors will tend to avoid prescribing any form of testosterone if you’re considered in a risk category. When Is HRT A Good Idea? Virtually all medications come with risk. HRT does have risks, but these are present in a very limited number of cases. HRT is a viable option if you have explored other ways of boosting testosterone production without success, but, you must talk with your doctor before committing. You should never make the decision to have HRT in a rush, as it has long term consequences. There is a strong connection between hormone replacement therapy and weight loss, and surprisingly, it’s a positive relationship. As you get older your body starts to produce more of the enzyme aromatase. This is the chemical that converts testosterone in your body into estrogen, (the female hormone). Unfortunately, estrogen is the hormone responsible for storing body fat. The more of it you have, the more fat you’re going to have. To make matters worse, this then becomes a vicious circle. Low testosterone levels encourage fat gain through increased estrogen, and because your metabolism starts to slow. Put simply, you need fewer calories to maintain your body. Continuing to eat as you always have will provide your body with too many calories and boost your fat gain. HRT or any other method of boosting your testosterone levels reduce the amount of estrogen in your body and helps your metabolism to work faster. In short, HRT will help you to lose weight and build muscle. But it isn't an instant or simple solution. It comes with risks, and you need to consider these carefully before you start hormone replacement therapy. The great news for every man is that you can boost your testosterone levels without using HRT. It doesn’t matter if you are suffering from T levels below normal or if you’re just wishing to boost your levels to what they were in your 20’s. Exercise is good for your general health. Anything that gets your heart rate pumping will improve your circulation, boost your metabolism and make you feel better. But, if you’re looking to boost your testosterone levels, you should be concentrating on intense exercises that challenge your body. Try exercises like burpees, hill sprints, jump squats, and lunges. 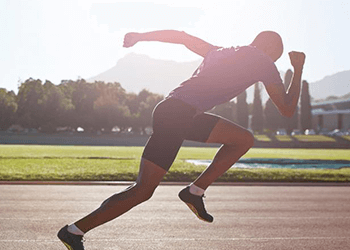 A study has shown that if you sprint for just 6 seconds, rest for 10 seconds, and then repeat 5 more times, you will boost your testosterone levels, and these levels will remain elevated long after you've recovered from your sprint. You don’t need to focus on competing in a Mr. Universe competition in order to lift some heavy weights. Research shows that lifting heavy weights for a low number of reps will increase muscle mass, bone mass, and testosterone levels. You’ll need to focus on doing 3 sets of 8 reps, and you should be struggling to lift the last one or your weights are too light! Try these exercises; dumbbell squats, deadlifts, weighted lunges and rows. You know it’s time to change the way you eat. The proper diet will help you to lose weight and improve your health, reducing the risk of many diseases as you age. But, what you may not know is that food can play a huge part in boosting testosterone. In fact, 2 of the key minerals your body needs to boost T levels naturally are zinc and magnesium. You can get these from your natural diet, by supplementing them individually or by using a combined product, like ZMA. Brazil nuts are the best choice. You only need two of them to get your daily allowance of selenium. But, if Brazil nuts are not your favorite, most other nuts will have the same effect. However, as with anything, moderation is the key. Oats contain a compound called avenocosides which works in your body to release testosterone that is currently bound to proteins. In short, it creates more free T which your body can actually use. You probably already know that this is one of the healthiest oils to use, but you may not have realized that it can also help to boost your T levels. Alongside giving you healthy fats, studies have shown that this can increase your T levels by an impressive 17.4%! Pineapples have a high amount of an enzyme called bromelain. This is usually used as a digestive aid, but recent studies show that it can help to maintain your testosterone levels. This fruit is known to offer a variety of health benefits, despite not being the easiest of fruits to eat. Fortunately, you don’t need to eat it. Drinking just one cup of this juice every day has been shown to boost your testosterone levels by between 16 and 30%. Eating right can really help to improve your health and testosterone levels. It doesn't have to be difficult to eat healthily. You simply need a good meal plan and to start preparing your meals in advance. This will ensure you always eat healthily and get the benefits associated with increased testosterone level. You really will feel like a new man. You should be aware that changing your eating habits and exercising more means that you are changing your lifestyle. In fact, this is the key to successfully boosting testosterone, losing weight and feeling great. The moment you embrace the idea of changing your lifestyle you’ll realize that you can improve your health, testosterone, and life by taking small steps every day. These small steps involve consciously deciding to do something instead of sitting in front of the television, choosing the healthier option when you eat and deciding to be the best man that you can be. We recognize that it’s not easy to change everything you have become used to. That’s why you need to join the Fit Father Project and get the support of thousands of other men who have been where you are. These men will inspire, motivate, and support you. In time you'll be able to offer the same assistance to others. It is possible to boost your testosterone levels by taking supplements that contain the essential ingredients your body needs. You’ll find plenty of T-Boosters on the market, but you need to check the ingredients list for each one. While you can look for individual supplements such as vitamin D, ginger, magnesium, zinc, D-aspartic acid and even fenugreek, you may prefer to get all these nutrients in one source. However, if you choose to use a T-Booster, you’ll need to verify the ingredients and make sure that all the ingredients and quantities are displayed. If they’re not, then you are purchasing a proprietary blend, and you don't know how much of each ingredient you’re getting. This makes it very hard to confirm they will boost your testosterone levels in the way you would like. It is best to eat the right foods and supplement individual vitamins if you really can’t get them through your food. However, if you choose to add supplements such as a T-Booster, then you need to look at the reviews to ensure you are getting a good quality product. This is a good idea no matter what decision you are making, but, it is especially important when considering HRT. It is essential that you speak to a doctor about hormone replacement therapy and weight loss. While HRT is an option, it is not the only one. This guide should have given you an idea regarding how easily you can improve your testosterone levels without the need for HRT. You can get extra advice and all the support you need to achieve your goals by joining FF30X today. It’s that easy to connect with thousands of other men in the same position as you. Boosting your testosterone levels through the techniques described here will improve your overall health and fitness; that alone should be a good enough reason to try the natural approach first. With a little guidance and support, you can achieve the same goal that hormone replacement therapy and weight loss treatment offer. But, you can do this naturally with the FF30X Program. That has to be worth trying today! *Please know that weight loss results & health changes/improvements vary from individual to individual; you may not achieve similar results. Always consult with your doctor before making health decisions. This is not medical advice – simply very well-researched info on hormone replacement therapy and weight loss. If you’re tired of being overweight, then you’re on the brink of discovering the motivation to get fit! The first step is realizing you’re overweight and the need to make a change. The second step is reaching out for information. Let’s take a look at how to manifest that motivation and keep it flowing. On-demand motivation will allow you to achieve your goals, lose excess weight, and even run with your children again. You’re not alone! There are thousands of men who've already joined the FF30X program or even upgraded to the FF4L. If they can find the motivation to get fit then so can you! The great thing is that all these members are here to inspire you and help you to stay motivated. Achieving your goal is possible! I know it can be challenging at times, but by finding your motivation, and understanding where it came from, you’ll be able to adopt the best approach and really succeed. Perhaps the best part is that you don’t need to make radical changes to your current lifestyle and forbid yourself from your favorite pleasures. The motivation to get fit is beyond that. Motivation is defined as the reason for a person’s actions. In effect, the needs of an individual create the desire to achieve them, which translates as motivation to do what is necessary to reach the specific goal. These needs are often defined by culture and herein lies a major part of the motivation problem. You need a deep inner motivation to get fit for the rest of your life. The demands of society are not enough. There is actually a science to motivation. Research shows motivation is affected by the amount of dopamine in your brain. Dopamine is released to make you feel good. This is the reason you feel so positive at the end of the workout. However, new research suggests that dopamine is released before an activity happens in the awareness of what is about to happen. In essence, this means the release of dopamine will actually help to motivate you to achieve any goal. Of course, this may not help you to start getting motivated, but it is an important factor in building a habit and staying motivated. It is important to be aware that motivation is generally an emotional response and not a logical one. For instance, you're unlikely to turn down a pay rise; extra money is always a benefit. However, it may not increase your loyalty to the firm. For this, you need to have your efforts recognized and to feel valued as a person. An employer is more likely to make you more productive by listening to your ideas, implementing the ones that are beneficial and treating you with dignity in the process. This is the psychology of motivation. The understanding that an emotional connection is necessary to achieve a goal. You need to have an emotional reason behind your motivation to get fit. The most common triggers are a health scare, the realization that you may not be there for your kids as they grow up, or even wanting to look your best for a specific event. You’re already considering this by acknowledging that you are overweight and need to gain the motivation to get fit. You can also feel motivated to act by a moral dilemma. For example, you’re unlikely to leave a child to die in a fire if you can do anything about it. This is moral motivation in action, even if it is not a conscious part of your decision process. Okay, motivation is possible and desirable. But, to achieve your fitness goals, you need to make the leap between understanding the causes of motivation and actually implementing them. If you have a specific goal, you may think that should be enough motivation. Unfortunately, most men prefer to leave things to the last minute. It's probably why you used to do your homework on the bus! If you have a specific event in mind, such as the school reunion, this will help you to lose weight. However, without the right motivation, you’ll postpone starting and lose less weight than you could have. It’s also highly probable that you’ll put the weight back on after the event. Fortunately, you can take the following steps to turn the motivation idea in your head into a practical approach to motivation and getting fitter. You can’t lose 20 pounds overnight or even safely in a week. But, you can start right now. Try putting on your workout clothes; this is so easy that you won’t be able to say no to it. In short, you create a starting point that is impossible to say no to. If you’re looking at changing your diet, then start by buying one healthier item. When you would normally reach for that chocolate bar take the orange instead. You can do this by putting the orange on top of the chocolate bar. Your next step is to create yourself a schedule, in short, make an appointment in your diary for that allotted time. You’ll need to complete the start-up process above and think about how you are going to get fitter. Then you’ll quickly find that you are doing more than just thinking about it. Boost your motivation and get off the couch by doing something. If you’re not ready to start exercising then make your movement one that involves heading to the kitchen and starting some meal prep. This can encourage you to eat better during the week which will actually help to build your motivation. Your alarm beeps to tell you its fitness time. Put on your chef’s apron. It’s so easy you have to do it. Walk into the kitchen and open the cupboards, refrigerator and your cookbooks. Pick a recipe and get the ingredients ready. Start cooking and then store the meals for your week. By doing this twice a week, you’ll gain the motivation to prepare healthy meals because you’ll follow a simple routine that leads to the right result. Set your alarm for fitness time. Put on your fitness gear – again it’s so easy you have to do it. Start a warm-up routine; this will get you mentally ready to exercise. Your motivation to get fit and stay motivated requires a plan. This can be the real challenge. You need a goal. Of course, if your goal is to lose X amount of pounds and get to your target weight but this is too general to help you stay motivated. Instead break your goal into smaller ones, such as losing 2 pounds a week. This is measurable and achievable. The fact that you actually manage it will help you to stay motivated and keep doing it. Alongside setting yourself a small goal you should consider a reward, and no, this should not be food! The reward can be fitness related, such as a new pair of trainers for running or a set of dumbbells to allow you to try the 24-minute workout. Alternatively, you could promise yourself that trip to a special game or another place that you’ve always wanted to visit. The thought of the reward will help you to stay motivated during the week. Telling your partner or friends about your fitness goals will create accountability. You’ll need to report in weekly to them so that they can track your progress. In fact, if you want to up the ante a little, you can attach a reward or punishment to this as well. If you don’t reach your target, you’ll have to pay them a set amount. Alongside this, especially if you don’t think it will make you accountable enough, you should join FF30X. You can then report your results every week, knowing you have to share this info is often all the motivation you need. Another great way of maintaining your motivation is to get a friend to commit to the same thing as you. It doesn't matter if they don’t want to lose as much weight as you. Both of you need to set yourself targets and have a penalty if you don’t reach them. This will help with motivation, but the desire to beat your friend will be extremely beneficial. You may be surprised by how motivational this is even when you don’t consider yourself competitive. Everything you are doing is helping you to create a habit. It is the habit that will ensure you keep exercising and eating properly, even if you don’t feel motivated to do it. This is why it is so important to add your fitness to your schedule and then go through a set routine. Even if you don’t feel motivated to exercise or eat healthily, the routine will help you to do it and want to do it. Exercise is not enough to get fit. In fact, what you eat is actually 80% of the story. This is why it is important to familiarize yourself with the perfect plate approach to food and check out your maintenance calories. It is important not to underestimate the power of water. In fact, it is essential to the healthy operation if all the cells in your body, which ensures you’re able to work out to the best of your ability. Staying hydrated is also good for your skin and will help you to feel fuller, preventing you from eating food that you shouldn't be. If you think you have hunger pangs drink some water and then see how you feel 30 minutes later. You know you need to eat healthier food, but it can be hard when your cupboards are full of crisps, sweets and other snacks. Eliminate them from your home. This will make it much harder for you to eat them when you shouldn't be. Every man needs to sleep between 6 and 8 hours a night. This allows your hormone levels to balance, reducing hunger and increasing the feeling of being full. It also reduces your stress levels which allows your body to produce other important hormones, such as testosterone. Set yourself a bedtime that ensures you get between 6 and 8 hours of sleep every night. A great way to keep yourself on track is to set yourself a challenge. This can simply be beating your own time or weight lifting capabilities, but it can also be a good idea to sign up to a race. If you've never run 5k before, then commit to a run in 3 or 6 months; put plenty of reminders up around your house, and you’ll see your motivation sky-rocket! It is important to join the FF30X as you’ll gain access to hundreds of different workout ideas. This will help you to keep your workouts varied and prevent boredom from creeping in. Avoid boredom and lack of interest by mixing up your routines. You need to work different parts of your body every day. I know it can be hard to get up from the couch after a hard day at work. This is why you need to create little habits that put you in the right mental frame of mind for exercising and eating right. Find a spot near your favorite seat where you can put your training gear and even your kitchen apron. You can then start your routine without even getting out of your chair; this will get your motivation going even when you don’t feel like doing anything. The real secret to getting and keeping motivation going is as simple as taking small steps every day. Small steps are achievable and allow you to reach the overall goal without needing to think about it. The Fit Father project is here to help and support you, just as it has already done for thousands of other men. Join the FF30X today and chat with other men who are working towards their own fitness goals. Their stories can inspire and motivate you just as yours will do the same for others. If you’re already a member of the FF30X then you know how it can help, upgrade to the FF4L today and commit to a new, healthier you for life; you can get and keep the motivation to get fit! *Please know that weight loss results & health changes/improvements vary from individual to individual; you may not achieve similar results. Always consult with your doctor before making health decisions. This is not medical advice – simply very well-researched info on finding the motivation to get fit. The average man spends a third of their life asleep. However, being in bed and getting quality sleep are two very different things. In fact, this 1970 study shows that despite being in bed for 7.5 hours; the average amount of sleep was just 6.1 hours. You may think you’re getting enough sleep every night, but the real truth is that 30% of adults are sleeping less than 6 hours per night. This doesn't sound too bad; after all, you function normally throughout the day. However, the power of sleep is often underrated. It is important for your health and for your ability to lose weight. If you need confirmation of this fact join FF30X and speak to other men who've discovered the benefits of a healthier life. Sleep is not simply a time when your body shuts down; this is actually the time that your brain processes the emotions and information gathered during the day. In fact, your brain can be more active at this time than it is during the day. Research suggests that when sleeping the brain supports an array of activities which are essential to the quality of your life. This is the first part of a sleep cycle and occurs as you fall asleep. Your body temperature will drop; your heart rate and breathing will slow. You’ll then enter deep sleep. This is potentially the most important part of your sleep cycle for learning and memory. REM sleep, (Rapid Eye Movement) follows deep sleep. During this stage, your eyes move rapidly, and your brain is as active as when you’re awake. This is the stage when your body recovers from the physical traumas of the day. The cycle will repeat 4 or 5 times through a typical night. Studies show that sleep is essential for the proper functioning of your body and is key to helping you achieve your weight loss goals. The first thing to note is that studies have shown that poor or little sleep has been linked to an increase in BMI thanks to a weight gain. To make matters worse, this actually starts a vicious cycle. Sleep disorders tend to be worse if you are overweight; which leads to poor sleep and more weight gain. It can be a difficult cycle to break. Studies have also shown that a lack of sleep will increase your appetite and encourage you to make poor food choices throughout the day. The reason this happens is that the levels of your hormones ghrelin and leptin are regulated when you sleep. If you don’t sleep enough this doesn't happen. 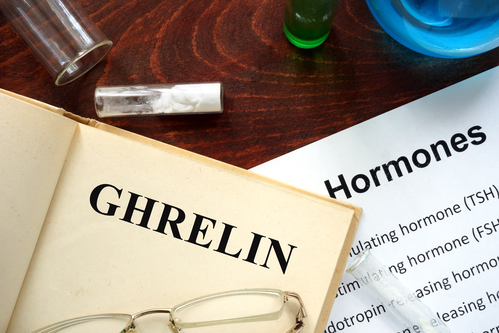 Ghrelin is the hunger hormone; this lowers at night. If it doesn't then you will feel hungrier during the day. Equally the levels of leptin should increase as you sleep. This is the hormone that makes you feel full. If your levels don’t increase when you sleep you will find that you’re craving food. Sleep also has an effect on insulin levels. You’re probably aware that insulin is essential to your body; it takes the sugar you eat out of your bloodstream and puts it into your cells; ready to be used as energy. Unfortunately, a lack of sleep will reduce your ability to lower your blood sugar levels. Elevated blood sugar equates to a greater release of insulin; making you feel hungrier. The extra food you eat is not needed for energy (your cells have sufficient). Instead, this gets stored as fat. You will also be at increased risk of type 2 diabetes. Just as you need to make exercise a habit and a good diet plan, you should set yourself a bedtime and stick to it. This will help to ensure you spend the right amount of time in bed, encouraging more sleep. To ensure quality sleep you need to do more than just create a bedtime. You should create a habit that surrounds your bedtime. This can be anything that helps you unwind and switch off from the day; such as reading a book for 15 minutes or listening to music. You may like to start the day with a caffeine boost, but you should always avoid caffeine and alcohol within a few hours of your bedtime. These are stimulants which will prevent your body from relaxing and getting the sleep you need. Exercise is essential for burning fat in your body and retaining a healthy metabolism/cardiovascular system. However, it is important not to exercise within a few hours of your new bedtime. In fact, studies show that exercise can reduce insomnia symptoms and even reduce the amount of time it takes you to fall asleep. Blue light is present naturally in the atmosphere and is beneficial to your health. In fact, it plays a critical part in helping to regulate your circadian cycle. But, too much blue night near bedtime will make your brain think it is still day time. This will prevent your brain from triggering an increase in melatonin, which is essential for relaxing your body and helping you sleep. You can switch off your cell phone and laptop/computer at least an hour before bed, or you may find it beneficial to use glasses that block blue light. You can also get apps that block blue light; these are useful if you need to keep using your electronic device right up to bedtime. It can be very difficult to sleep properly if your bedroom is too warm. The maximum temperature of your bedroom at night should be 70°f (20°C). Lower temperatures will help your body to relax and improve the quality of your slumber. In fact, the temperature of your room is deemed to be more important than the amount of outside noise. This is a fairly obvious step. Although the occasional short nap can boost your energy; napping during the daytime is likely to confuse your circadian cycle. This can make it difficult to sleep properly at night; again your body may struggle to regulate melatonin levels properly. Weight loss can be challenging, but it doesn't need to be. You need to get the right levels of sleep; develop a healthy eating plan and have a good level of support. That’s what the FF30X is here for you. You’ll meet thousands of men like you who have and are battling to lose weight. They can share their advice, offer the support you need and confirm that you do need to sleep more for weight loss. Join today, and you’ll find the new you faster than you think! *Please know that weight loss results & health changes/improvements vary from individual to individual; you may not achieve similar results. Always consult with your doctor before making health decisions. This is not medical advice – simply very well-researched info on how to sleep more for weight loss. The dictionary defines motivation as a reason to act in a certain way. There are certainly key events which can trigger motivation, such as the desire to lose weight. But motivation can be hard to sustain. Workout motivation for men can be as simple as picking a tactic. There are hundreds of articles about motivation on the internet. Some offer valuable advice such as using your motivation to build a habit. Habits help to reduce the need to find workout motivation for men. But, the problem is habits are easy to break. They can take weeks or even months to create but be broken just by stopping your workout for a few days, even if they're not consecutive! The real problem is life. You may like the idea of working out in the morning. A quick look at the tips in most articles and you decide to sleep in your clothes with your alarm clock on the other side of the room. You can visualize yourself getting up with the sunshine and running down the road with a smile on your face. The morning arrives. It’s cold and dark and your partner is snuggled up to you, making it difficult to move. You can ignore the alarm and snuggle under the covers for 5 minutes. Before you know it the opportunity is gone. There’s a huge difference between wanting to work out and actually feeling like it when the time comes. That’s where motivation comes into play. But how do you feel inspired or get workout motivation when the alternative is so much more attractive or easy? Take a look at the FF30X program or you can even sign up to the FF4L option. You’ll meet hundreds of men who are striving to work out and become better versions of themselves. It is possible to gain motivation from their stories and to feel inspired. But, they probably won’t be there when your alarm goes off at 5:30 am. Their support is great, but you need the support of your partner or anyone who shares your home with you. Ideally, they’ll get up to workout with you. But if not, then they can at least tell you to get out of bed. It’s surprisingly effective and once you’re up you might as well try the workout. The next great workout motivation for men is accountability. You may not feel like working out even though you do want to look like Arnie. However, if you’re lying there or sitting there thinking about the fact that you have to report into a friend on your workout progress, then you’re going to have to do something. This is especially true if your friend is also working out; a little competition is always good. That’s where it really pays to join the FF30X program. You only need to connect with one other person to generate that competition and accountability, forcing you to work out even if you don’t feel like it. All you have to do is think about how you’ll feel when they’re hitting their targets and you’re still putting on the weight! Both of the above points rely on outside motivators. These force you to take action because you want to show others that you are achieving something. Another approach is to adopt the Nike attitude: “Just Do It!” The theory behind this is to believe that you can achieve anything if you just try and believe in yourself. However, you can apply this principle in a much simpler way. If you’re thinking about exercise then just do it. You don’t need a huge goal or a scheduled date on your calendar. All you need is ten minutes. Put your gear on and pick up a dumbbell. Within moments of starting you’ll want to do more. That’s the real crux of the issue; starting. Because once you start keeping going is much easier. To help you get workout motivation, keep a few basic workout tools around your home. Even something as simple as hand grippers can help. Imagine you're sitting in your armchair with the television on. Next to you are the hand grippers. You don’t need to move to start using them, but, after a few minutes of using them, you’ll be ready to get up and find the dumbbells or even that jump rope. This is a technique that works when there is little time to prepare. If you sign up to do a marathon in two years, you’re probably not going to worry too much about training today. But, if you sign up for your local 5k next month, you’re going to want to start training. In some ways, this is the same as setting yourself short term goals. Again the difference is accountability. The moment you sign up and tell someone what you’re doing, you have to start training. Otherwise, someone will know you can’t do it. To increase your workout motivation for the event, you can always dedicate the race to someone and raise money to help a cause. When you sign up to a gym you’ll get a workout coach and probably start training with someone. However, as time passes this is harder to stick to. You’ll know what you can get away with and your motivation and focus will drop. Don’t just change your workout partner, change your gym regularly. Switching gyms will help you to stay motivated and try different exercises. You may even benefit from some free introductory deals. When you're thinking about working out but don’t really feel motivated then put two fingers on your belly as you inhale. Slowly exhale while tightening your abs. You’ll be able to pinch your excess skin; this is pure fat! That should make you feel like working out. In fact, you should do it every day before your workout. It will help you to push harder. You can even do it when you’re tempted by a sweet treat that you know you shouldn't really have! Life is too short to do things you hate. When building workout motivation, you need to focus on doing things that you enjoy. This will make you more interested in doing the activity, and you’ll find it easier to feel motivated to do it. If you’re really struggling with motivation, then the idea of completing a 30-minute workout can just seem like too much. However, if you commit to doing just one set of one exercise, then you can be finished in just a few minutes. In all likelihood you’ll do much more than one set; this will simply get you started. But, if after one set is finished and you still don’t have any motivation then call it a day and try again tomorrow. At least you’re doing something. Even when your favorite show is on there is likely to be commercial breaks. Commercials are a great opportunity to jump off your seat and do a few sit ups, push-ups or even walk round the room for the entire duration of the commercial break. This simple action will help you to get fitter and make you feel more motivated to do more. There will be days when you don’t feel like working out. You may be able to bully yourself into doing the workout anyway. But in all reality, you may simply miss your workout. That’s okay because you’re human. While muscle can start to deteriorate within a week or two the effects on your overall fitness take longer to dissipate. So if you've missed a few workouts don’t worry. Put them behind you and start again. The real key is to add as much variety as possible. That’s why you need the FF30X program or the FF4L program. These will make you accountable, give you the support you need and help you add variety. That’s what you need to keep your workout motivation as high as possible. Then I’d recommend you take a look at our Fit Father For Life Membership. Old School Muscle Phase #2 – Available Q3 2018. ‘Total Body Tune-Up' Flexibility Program. …And… EVERY program we produce. See for yourself how these programs have helped men just like you achieve and maintain results and live a healthier and happier life. You know what it’s like when you first start losing weight or building muscle. You’re full of motivation and determined to reach your goal this time; even if you’ve tried and failed before. The problem is that within a few short weeks the awesome motivation for men that you did feel has vanished. 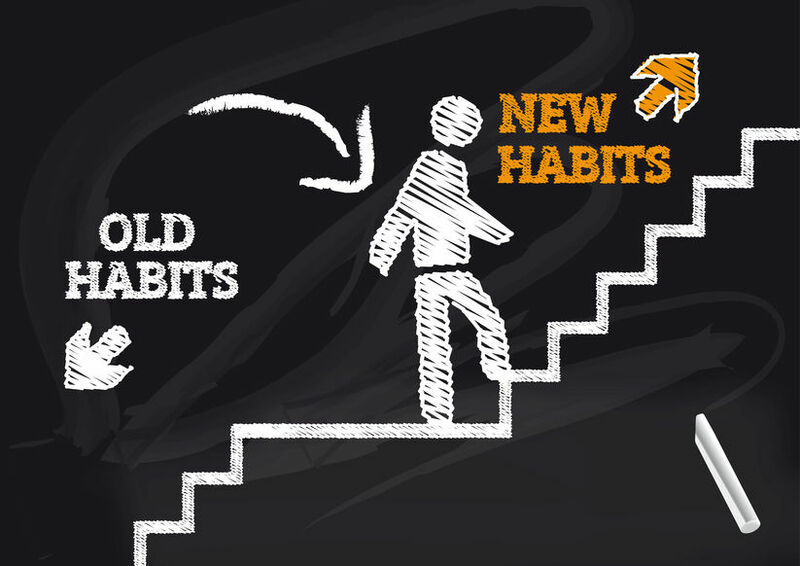 Unfortunately you haven’t been doing it long enough to really create the habit. You can regain your mojo and reach your target by using these strategies that have worked as motivation for men just like you. You can even check out the FF4L at the Fit Father Project to talk to these people. You probably know the fantastic warm feeling when you decide to do something new. You may have spent tie getting yourself some new workout gear and deciding on the best exercise routines. You’ll also feel pretty good about yourself for the first few days or even a week or two. But, then the motivation for men hits a bump; you’re not seeing the results that you want. This may be because you've set your goals too high; it’s not advisable to lose 5 pounds in one week. Combine this with a lack of time to exercise and your motivation will nose dive. Without this you’re going to struggle to get started. After all it can take weeks or even months to build a habit which will carry you through the less motivated times. You remember the feeling of excitement you had when you bought your new running shoes or the extra weight for your dumbbell. I’ll bet you were eager to try them out as soon as possible. That’s what you need now, something new to get you motivated again. This can be a new item of sports clothing. However it can also be an opportunity to try a different workout or exercise routine. That’s the real secret here; variety keeps you interested. Doing the same thing every day will allow boredom to set in. Doing the same thing every day is almost certain to destroy your motivation. Sometimes all the motivation you need is to know that you have to make a change for your own health. Or you may have a specific holiday or reunion in mind when you want to look your best. This can often be enough to keep you working out even when you’re not feeling motivated. But, you can want to and even enjoy working out! The trick is to visualize the results. This is a proven strategy that works. Picture yourself as a toned or even shredded guy. But, make sure you picture the detail; the way you’re muscle flex as you lift 200 pounds or the way you smile as you cross the finish line of the marathon. Research shows that picturing something will provide your brain with the instructions to make it happen; in just the same way as if you wrote down your aims. Try it now and feel your motivation levels surge. A great way to improve your motivation is to set yourself a date. For example if you want to be able to run 26 miles the pick a reasonable date in the future and enter yourself for a marathon. You’ll stay motivated because you have to be ready by that date to show the world what you’re made of. In fact, telling your best friends as soon as possible will ensure they help you to stay motivated. This is through their personal comments and your sudden accountability. The same is true if you want to complete a particularly difficult workout or lift a set amount of weight. Set a date and tell others what you are doing; they will make you accountable and keep you motivated. If you ever lack the motivation to work out, just picture their faces when you succeed in your challenge. An extension of the accountability principle is getting a buddy to exercise with you. This can be your partner, best friend or even one of the members of the Fit Father Project. Sign up to FF4L today and start talking to other men. You’ll soon find someone with a similar goal; you can report in to each other daily and motivate each other. You may also find it very helpful to start recording your workouts, feelings and when you were enjoying the best levels of motivation for men. Reviewing your journal regularly will help you to establish when your motivation falters the most. You may even see when you are more inclined to work out and change your schedule to suit. It’s often the thought of working out that gives you an issue rather than the actually workout. This is actually an easy motivation for men issue to overcome. All you have to do is put your workout clothes on and undertake one activity. It doesn’t matter what it is. You’ll quickly fee the rush of endorphins and the satisfaction of actually doing something. Doing something will quickly become a desire or motivation to do more. Just one thing is all it takes to end up doing a whole workout! Don’t underestimate the importance of setting a schedule. If you've blocked out the time to exercise on your calendar then you’re less likely to miss your workout; even if you don’t feel motivated to do it. The great thing about scheduling is that it makes you work out, which is essential to building a habit. When motivation is no longer an issue, exercise is merely a habit and something that you enjoy! I’ve already mentioned the importance of having a buddy to keep you motivated, accountable and on track. You can join FF4L today and gain access to thousands of men who are looking for a workout buddy. You and they can work together to ensure you both have the motivation for men that you need. The fact that you can access a vast array of resources regarding eating habits and exercise is a bonus. There are an estimated 50 to 70 million adults in the US with common sleep disorders. The next time you’re struggling with sleep you can consider this fact and remember that you’re not alone. In fact that’s what the Fit Father Project is here for, to ensure you’re never alone as you strive towards you goals and become the best man that you can be. Technically anything that causes you to wake at night could be called a common sleep disorder. Of course, for it to be a disorder you need to be doing it on a regular basis. But a sleep disorder is really more than this. A sleep disorder means that you can’t sleep when you should, you don’t get enough sleep and the quality of the sleep is poor. This can have a profound effect on your daily life. In fact it can affect your ability to function normally physically, mentally and even socially. Chronic inability to fall to sleep can be classified as insomnia. The illness can come from a variety of sources, including depression and mental disorders, poor habits, substance abuse, or many other factors. Treatment for insomnia can include behavioral, psychological, prescription medication, or some combination thereof. Snoring, obstructions in your breathing, and sleep apnea are all sleep breathing disorders. Treatment includes lifestyle changes, such as weight loss, and the use of a breathing assistance device at night, or a Continuous Positive Airway Pressure (CPAP) machine. Hypersomnia includes specific syndromes associated with insufficient sleep. Sleep comes far too easy for individuals with hypersomnia. There are a number of issues that can lead to this common sleep disorder. Treatment typically includes treating the underlying issue. Any activity which adjusts your usual daily schedule and makes you feel tired / alert at the wrong time of day, such as jet lag or swing shift, can be related to our natural circadian rhythm. This covers the majority of issues ranging from sleepwalking to night terrors and hallucinations. Leg cramps, restless leg syndrome, sleep walking are all covered by this category. Abnormal movements or talking can cause difficulties for sleeping partners. The most common version of sleep apnea is obstructive sleep apnea. This is when your breathing stops for several seconds. In turn this will deprive your brain of valuable oxygen and cause you to partially wake. The brain then forces your body to breathe harder and beat any blockage in your tubes. Unfortunately when this keeps occurring your body never gets the opportunity to enter into deep sleep; which is essential for the balancing of hormones and rebuilding muscle. This is the most common sleep disorder and results in poor sleep quality. It is due to an inability to get to sleep, waking in the night and being unable to get back to sleep or waking up too early in the morning. If you’ve ever had the need to move your leg while sleeping then you have restless leg syndrome. You may think your legs are aching, throbbing or itching. Unfortunately the need to move them makes it impossible to enter deep sleep, causing poor quality sleep. This is actually a neurological disorder where you are unable to control your waking and sleeping cycle. In effect you can fall asleep anywhere at any time. Sleep is one of the most important functions of the body. When you sleep your hormone levels rebalance. This ensures your metabolism is balanced and you’re ready to face another day. It is also the time when your body heals muscles, repairs blood vessels and generally ensures you remain healthy. A lack of quality sleep has been linked with an increased risk of heart disease, kidney disease, diabetes, stroke and even high blood pressure. Ideally you should be aiming for between 6 and 8 hours of quality sleep every night, this will allow your body to enter deep sleep and recover properly. Unfortunately this is easier said than done in the modern world and especially if you have one of the common sleep disorders. It doesn't matter what the reason for your sleep disorder; it is possible to improve your sleep patterns and overcome it. All you need is the following tips, some patience and the support of the Fit Father Project; nothing is impossible! The first step is to create a habit. This means going to bed at the same time every night and following the same routine before bed. Your routine is personal but the creation of it prepares your body mentally for bed. Building good bedtime routines can help dramatically. Blue light has been shown to suppress your melatonin levels. This makes your body more alert as these levels naturally increase when it’s time to get up. Unfortunately that’s not a good thing when you’re trying to go to sleep. It’s a good idea to stop looking at your cell phone or computer at least an hour before bed. Meditation is a great way to relax your mind and body. This will remove the stresses of the day, help your body to find balance and can even prepare you for sleep. Start meditating today and make it part of your bedtime ritual. It is very difficult to avoid stress altogether in the modern world. But, you can learn to anticipate stressful situations and avoid them whenever possible. A healthy balanced diet is all it takes to help your body work at peak levels. In turn this will help it to produce the right hormones to encourage sleep. Try the perfect plate method today! Exercise can tire you out helping you to sleep. It can also improve the metabolic functioning of your body. In addition it will help you to burn fat, tone your muscles and even increase your energy levels! It is advisable to avoid exercising with a couple of hours of bed; your body may still be too hyped up to settle into sleep. Caffeine is a stimulant; it will not help you get to sleep! Avoid any product that has caffeine in it for at least 3 hours before you go to bed. Napping during the day will make it much harder for your body to regulate your sleeping and waking cycles. You need to stop napping in order to sleep better at night. To help avoid napping and fight fatigue through the day get up and take a walk. Doing anything that involves you moving round for several minutes will help the fatigue to pass. Over time you’ll get better sleep and not even feel the need to nap during the day. You can also move round at night to help you settle better rather than just lying in your bed. Maybe you’re trying to resolve your sleep disorder to simply function better in the day. Or perhaps you’re looking to boost your health, fitness and even lose weight. Dealing with any of the common sleep disorders or anything that affects your usual sleeping patterns is not easy. But, with the tips in this guide and the help of the Fit Father Project you can beat your sleep disorder and become the man you want to be. Join the FF30X today and start your journey to becoming the best man that you can be. *Please know that weight loss results & health changes/improvements vary from individual to individual; you may not achieve similar results. Always consult with your doctor before making health decisions. This is not medical advice – simply very well-researched info on common sleep disorders. To achieve anything you need to commit physically and mentally. It doesn’t matter if you’re looking for business success or losing weight; the key is not just in eating better and exercising more. You need to visualize your future to gain the mental strength to get you there. If you’re in any doubt take a look at Arnold Schwarzenegger, arguably the greatest bodybuilder ever. His secret to success is visualizing himself the way he wanted to be. If it can work for him it can work for you too. The simple fact is that to achieve the success you need to visualize your future having achieved that success. By doing this, you’ll be halfway to reaching your goal. This may sound far-fetched but studies have shown that if you visualize your future you will help it to happen. The reason is surprisingly simple; visualizing a future you haven’t yet achieved will send a message of discord to your brain. To keep you healthy and balanced your subconscious will find a way to make what you are visualizing happen. In short, it will rebalance your harmony! Have you ever noticed that if you think something bad will happen, it invariably does? This is very much a situation of is the glass half full or half empty. If you see half empty then you are always looking for the worst outcome and are not really surprised when it happens. On the other hand, if you see the glass as half full you’re always looking to achieve more; that will help you to get where you want to go. It’s one way to visualize your future and improve it. There have been many books and studies on the power of positive thinking, and the consensus is that you’ll get what you expect to get. If you’re miserable then only miserable people will want to spend time with you. The key therefore is to visualize your future with success and happiness; the two go hand in hand. The first step is to select a mantra for yourself. It could be as simple as “I’ve got this” o as complex as you want. You need to repeat this mantra to yourself every morning and evening and whenever you feel challenged. As long as you believe your mantra you’ll be surprised at how much difference it can make. When you visualize your future you need to be specific. The details are what will make it seem real. The more real something seems the easier you’ll find it to both believe it will happen and gain the motivation to work towards achieving it. That means don’t just imagine yourself bench pressing 200 pounds; picture the look of your muscles as you do so and how your body will feel. Being in love is a fantastic feeling; it releases endorphins and makes everything seem more achievable. While being in love with your partner is great, to help visualize your future you also need to be in love with what you are doing and what you hope to achieve. The more passion you have for something, the easier it is to stay committed. If you really want something but don’t feel passionate you need to ask why you want it; that will show you your real passion. There’s no getting away from the fact we live in a hectic and stressful world. To help you visualize your future and avoid being sidetracked by less important goals you need to take time out. Meditation is a great way of focusing your thoughts and clearing your mind; allowing you to move forward in the right direction. In order to achieve more you also need to be grateful for what you have achieved. Being grateful is not the same as being complacent. All you need to do is take a few moments to consider what you have achieved and how good that feels. The gratitude will help to ensure your goals are realistic and it will renew your conviction to achieve them. Goals are essential in every part of life. When you visualize your future it’s a good idea to break a big dream into smaller goals. As you work towards and achieve these you’ll know that you’re getting closer to your overall vision of the future; that will help you to keep going. Everyone has a comfort zone but to achieve more and become the best that you can be you need to challenge yourself every day. For instance, if you wish to lift 200 pounds but can currently only do 100 pounds you’re going to need to push your body. Create a schedule of when you’ll increase your weights and you’ll reach your goal quicker than you think. The same is true if you’re trying to build a business. You can’t be top of the Google search page overnight. But you can visualize yourself there and work out how much content and social media attention you’ll need to get you there. If you do one thing every day that you’re not comfortable with you’ll achieve your goals faster. Karma is different from positive thinking. It is the idea that you reap what you sow. Being positive and taking the time to visualize your future does not include inflicting good or bad on someone else. However, if you’re nice to others and help them when they're in need, they will be more likely help you when you need it too. Being honest, generous, and generally good to others will invariably help you achieve your goals and stay happy. The simple fact is that the harder you push yourself, the more experiences you’ll have and the more you’ll achieve. But, as powerful as visualization is you can’t do this alone. Join FF4L today. You’ll have all the support and advice you need to achieve any goal, fitness or otherwise. All the members of the Fit Father Project have been where you are. They can empathize and offer advice and support. When you’re struggling to visualize your future, they can help you to keep on track and become the man you want to be. Just as in every walk of life, support and healthy competition will make you push harder and become the best man that you can be. All you need to do is start to visualize your future and join FF4L today!